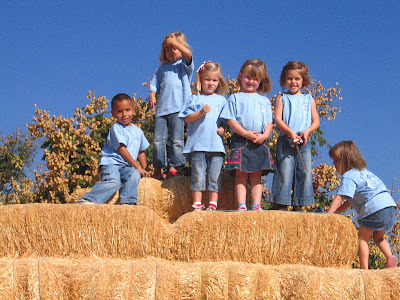 On Monday, October 20, 2008, our Faith Kids preschool class went to Underwood Family Farms and pumpkin patch. 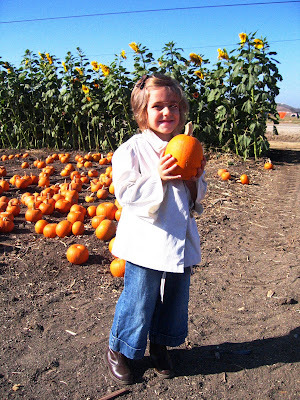 They had sunflower fields, gourds, livestock, organic vegetables, play structures and of course, pumpkins. All the kids had a great time and Madeline was a delight...and delighted. Our group was just about to embark on the tractor trailer ride through the farm. 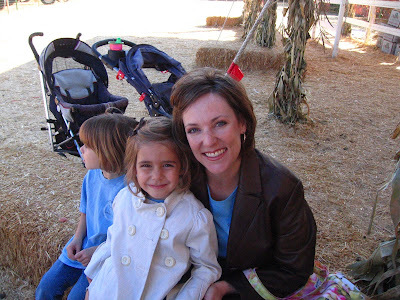 Every child got to choose a Sugarbaby pumpkin upon completing the trailer ride. Madeline's was tall with a nice stem. 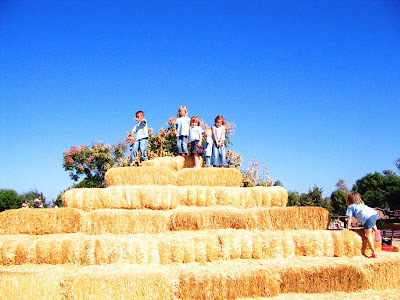 The kids loved climbing up and down this haystack. Of course, some of the more aggressive ones would have started playing "King of the Hill" if we weren't watching. These are just a few of Madeline's classmates, all sweet children. We rode down to the Farm with this gal, Savannah, and her mom. 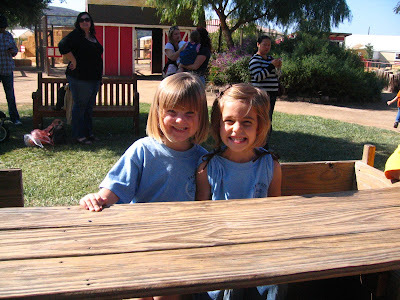 Madeline and Savannah hung out together most of the day and will be great pals in school. These photos are so cute! 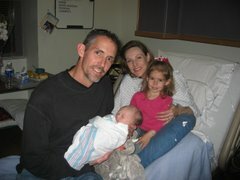 I wanna squeeze my little punkin, Madeline! A great field trip for all, even the teachers, right?